In Good Dirt we are immersing our lives in the life of Jesus by celebrating the Seasons of the church. Another way to say it is that we are marking our lives by the life of Jesus. The Christian church began formally celebrating Easter as early as 325 AD, and even before then Israel had seasons of fasting and feasting to mark their story with God throughout the ages. There is a great cloud of witnesses that have gone before us. The seasons follow a pattern of preparation, celebration, and then living out what we have prepared for and celebrated. In Advent we prepare for God with us, at Christmastide we celebrate God with us, and during Epiphany we step into a life with God. In Lent we prepare for our own death and the death of Jesus, at Eastertide we celebrate that he died, is risen and us with him; then during Pentecost and Kingdomtide we live out his resurrection and ours. We are meant to live seasonally. Who can feast all the time without becoming a glutton? Who can fast or mourn all the time without losing their mind? When our days lose the gift of thankfulness and celebration we become a depressed and dying people. As the physical seasons set the rhythm of the earth, so the church season can set our rhythm to the rhythm of Christ. 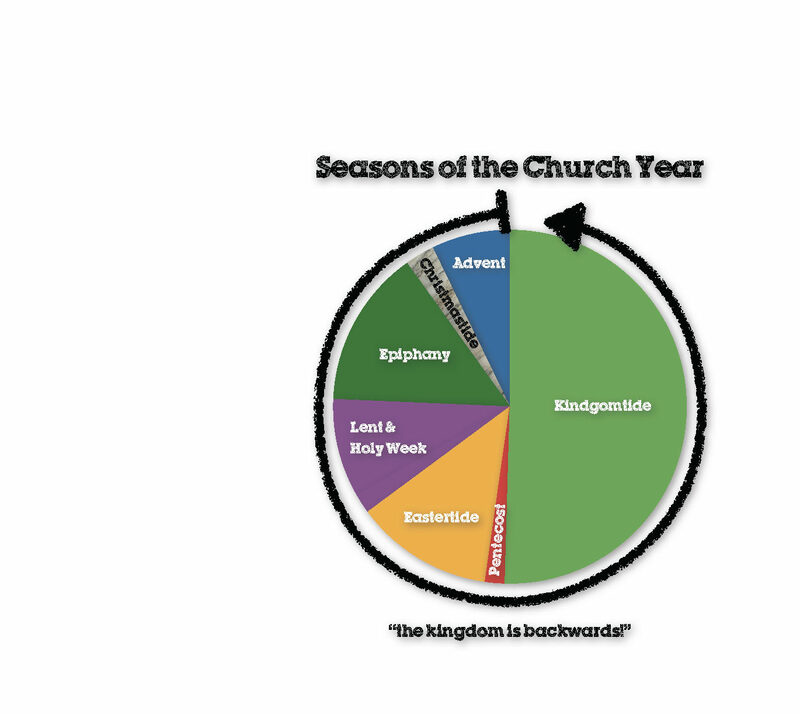 There are seven main seasons of the church. The great diversity of our Christian traditions means that some seasons are named slightly differently and some dates are variable, but this is the overall, middle of the road, happy medium church calendar.